Get the picture? Each year, the top 30-35 OF can be counted on to be extremely productive players who produce 8th-round value or better while finishing in the top 100 overall. But the paucity of outfielders who've finished 100-250 shows that few players outside the top guys can be counted upon to put up good #’s. Consider where OF usually finish in the rankings, and where they are being drafted this year. The key strategic tidbit is this: too many OF are being drafted in the 101-250 range and not enough from the 51-100 positions, which has historically been the most OF-rich area of the draft. So, don’t be afraid to pull the trigger on 3 or 4 top OF in the first 9 rounds of the draft. One other key piece of OF strategy: you MUST draft a good balance of stats here. 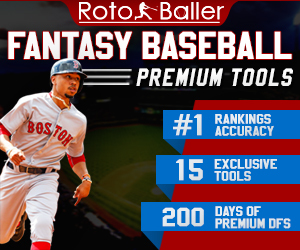 If you load up on HR / RBI or R / SB you will be hard-pressed to close the statistical gaps with the rest of your roster positions, and in trying to do so you will be forced into tough choices: do you draft the best player on the board or take the player who will give you more balance? Ideally, you should be able to do both. Don't wind up with Giancarlo Stanton, Jay Bruce AND Adam Dunn, because you won't be able to dig yourself out the AVG and R hole without passing on better players. Tier 1: The Elite. I was strongly contemplating putting Braun and Trout in their own tier, but the truth is with just a little regression from either, and a full healthy year from Kemp, these four guys will be on the same level. BUT, you should obviously still take Trout or Braun over Kemp or McCutchen, and I'd take either top OF over Miguel Cabrera for the reasons I highlighted above. Between the two, Trout put up one of the best seasons in the history of baseball as a 20-year-old. Braun is the new Hebrew Hammer and he is unstoppable. Flip a coin. Tier 2: The Studs. These guys could all be elite this year, but they're nevertheless clearly a rung below the top four right now. Each of these guys is going to put up #1 OF numbers, but each also has some small pockmarks that will hold them back from elite status: Stanton’s horrid lineup and mediocre AVG, Upton's inconsistency, health issues for Bautista, Hamilton and Carlos Gonzalez. Hamilton is an acceptable 2nd-rounder, but brings better value as a 3rd round pick. You can read our full analysis on Hamilton in this Fantasy Draft Prep piece. Stanton is my favorite here-- he could put up 1st-round numbers and is the only player in the MLB capable of hitting 50 HR. I would take him ahead of Justin Upton, Carlos Gonzalez and Jose Bautista, all of whom are giving you very fair value in the 2nd round. Jones and Heyward are the young guys fresh off breakouts-- they could take further strides this year, and if either slips to the 3rd round in your draft, they are very good picks with room for upside. Matt Holliday is an absolute steal with a 55 ADP; it's shocking that he's going that low, and I would jump on him in the 3rd or 4th round without a second thought. I think at this point in his career, Holliday will be the perennially underrated superstar, kind of like Paul Konerko, who puts up big year after big year, but none monstrous enough to catch too much attention. Tier 3: Highly Respectable Guys. Here’s where we get into the real meat of the 2013 OF crop. Ideally, you should have two guys within the top 4 tiers, though three would better. Every guy in this tier fits into one of these questions: “Can he repeat career-year performance?”, “Can he bounceback?”, or “Can he consolidate skills growth and break into the next level?” Some of the ADPs are out of control: Gonzalez, Craig and Harper are going too early for my taste considering the first hasn’t topped 30 HR since his 2010 healthy shoulder, the second hasn’t topped 470 AB ever in his career, and the third, though really, really good and young, is being inflated by The Hype Machine. I love B.J. Upton’s 25-35 line, but he's going in the 2nd round!!!! At that price his .240 AVG makes me wanna puke! To achieve 2nd-round value while batting .240, B.J. would need to go 30-35 with 85 RBI and 95 R, capisce? As for the undervalued guys... wow, Hunter Pence has really fallen out of favor. This guy is a PERFECT example of how the hordes lead you astray: in 2011 he has the same year he always does but with a .300 AVG, so in 2012 he gets drafted in the top 30 and... has the same year he always does but with a .250 AVG. So, of course, now he's a bargain. He is a lock for .275-25-85-85-15 and is a steal in the 7th or 8th round. Other nicely priced guys are Austin Jackson around ~100 and Shin-Soo Choo at 80. Gordon, Ellsbury and Cespedes are all nice in the 50-60 range, with Centipede being my favorite, but Ellsbury having the most upside for obvious reasons. 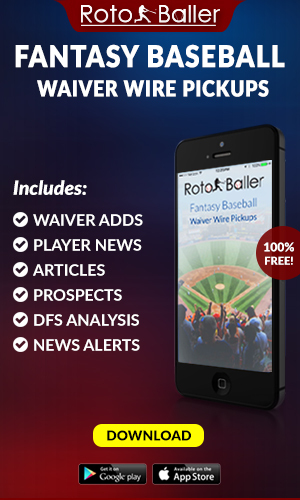 Check out RotoBaller's Fantasy Draft Prep article on Cespedes. Tier 4: Steady as They Go. With very few exceptions, this entire tier is full of solid vets who've been around the block once or twice. All of them should produce like #2-3 OFs, but all of them have some downside due to age, injuries, or over-achievement in 2012. If you're in a 12-team 3-OF league, you probably shouldn't own any starting OF past this tier. 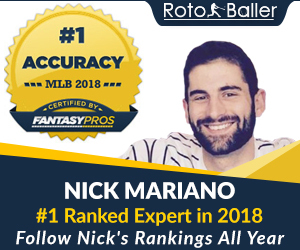 I won't touch on every guy, but here are some who might outperform their current ADP: Beltran, Victorino, Ichiro, Hunter, Markakis, Crawford, Cruz and Ethier. Some overvalued guys include: Rios, Melky, Bourn and Trumbo. 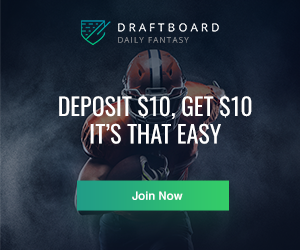 RotoBaller believes that people always undervalue the vets and this sets up many nice opportunities within the ultra-rich 100-150 range (9th-12th round) of the draft. Tier 5: #4 and #5 OFs. Outfielders in 40-60 range should occupy the #4 and #5 OF slots in deeper leagues. There's a wide mix of players here, from the solid and unspectacular (Kubel, Swisher, Prado, Hart, Pagan, Crisp), to the players whose breakouts were so unexpected that it seems as if regression is all but guaranteed (Reddick, Aoki, Davis), to the guys we're hoping breakout (Revere, De Aza, Cain), and also the bounceback candidates (Stubbs, Young, and Gardner). By the time these guys are available, I'll have at least 4 OF, so I can afford to gamble a bit, and that means high upside with low ADPs: Morse, Revere, Cuddyer and Kubel could all put up very solid numbers at bargain prices, but the guys I really, really like here are Stubbs, Gardner, Fowler, Cain, Ross and Young. All of these guys can be had near the end of drafts and will offer serious return at their current rates. Tier 7: The Leftovers. Many of these guys saw significant time on the waiver wire or DL last year, and many of them will again in 2013. Some of them will provide some great hot-stretch stats for a few weeks or months, but it's safe to say you can overlook most of them on draft day without missing out on much that you can't scoop up from the wire when you need to fill a need. That said, there are a few who you should keep an eye on, as I seem them as good bets to put up some solid stretches and end-of-year numbers: Werth, Moss, Duda and Martin.